The barista for your home. Coffee is much more than just a hot drink. Real coffee gourmets value the varied aromas and the many different ways of making coffee. 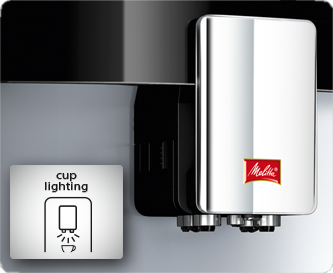 For these gourmets, Melitta® has produced the Caffeo Barista® TS, an appliance with an exclusive design, which also impresses by being really convenient and easy to use. The innovative Automatic Bean Select, active bean monitoring, 18 varieties of coffee and the illuminated All-in-one-Outlet are just a few of the many features of this Barista for your home. The innovative Touch & Slide feature makes an aesthete's heart beat a little faster. By gently touching the sensors you can simply and conveniently set and operate the CAFFEO Barista®. For real coffee gourmets a coffee bean is not just a coffee bean. Each coffee has its own bouquet, crema, acid and many other facets. 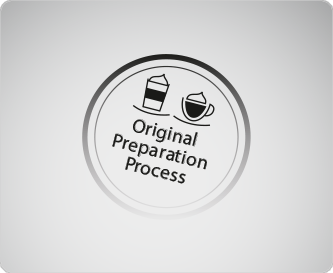 Automatic Bean Select always chooses the right bean from two different types for your coffee speciality - for coffee enjoyment just like from the professionals. The Aromasafe® seal on the bean container means that the diverse flavours and aromas of your coffee beans are even better protected. The Bean to Cup feature means that only the amount of coffee beans you need are freshly ground and then the ground coffee is immediately brewed. The grinder runs until empty each time to prevent mixing different types of bean. The unique pre-brewing and extraction process (A.E.S.) ensures that the coffee flavour develops perfectly. Whether you want one of the programmed varieties of coffee, warm milk, frothed milk or hot water - pour your favourite drink with just one touch. You love good espresso and other classic coffees, but you also enjoy exclusive coffee specialities such as a flat white or an americano? 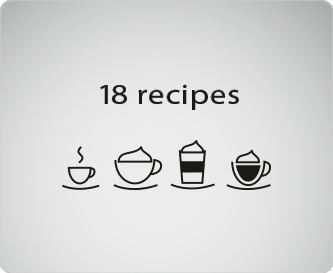 You have the choice between 18 varieties of coffee, which can be called up from the menu really easily. For coffee specialities prepared with the correct order of ingredients, in accordance with the original Italien recipes: So for latte macchiato the espresso ist added only after the frothed milk and milk. For cappuccino, the espresso is poured before the frothed milk. 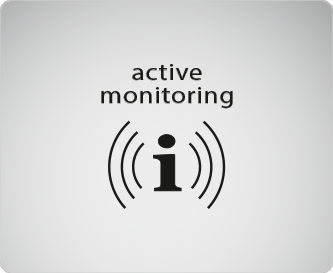 Thanks to active bean monitoring the CAFFEO Barista® TS/TSP will let you know in good time when your coffee beans are running out. So you can always refill before the grinder runs on empty. The high resolution TFT colour display allows for intuitive operation for maximum ease of use. The self-explanatory step-by-step instructions leaf you through the menu. Coffee, milk, frothed milk and hot water - thanks to the All-in-one-Outlet you don’t need to move your cup here and there, no matter which ingredients you like in your favourite coffee. 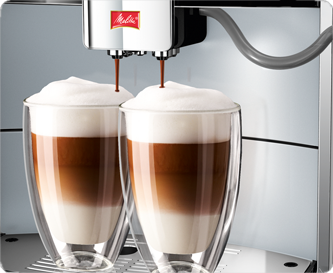 Height adjustable to 140 mm, even tall glasses for latte macchiato have plenty of space. The Double Cup Mode allows you to enjoy double coffee enjoyment without moving the cups - for latte macchiato, cappuccino and many other coffee varieties. Coffee strength, brewing temperature, the right amount of coffee, milk/frothed milk or hot water: The My Coffee Memory feature saves the individual preferences of up to four people for all available varieties of coffee - call up conveniently using the names you have set. 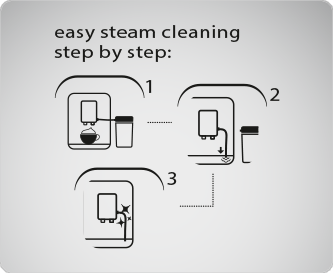 As well as the integrated programme to thoroughly clean the milk system, Easy Steam Cleaning means you can quickly and hygienically clean in between times: parts in contact with milk are cleaned with hot water and steam - if you prefer after every cup of coffee or call up separately using the menu. The Caffeo Barista® automatically indicates in the display when it needs to be cleaned or descaled. The cleaning or descaling programme is simple to call up in the menu. The practical and user-friendly removal of the brewing unit makes it easy to clean. The interior of the machine can also be cleaned. 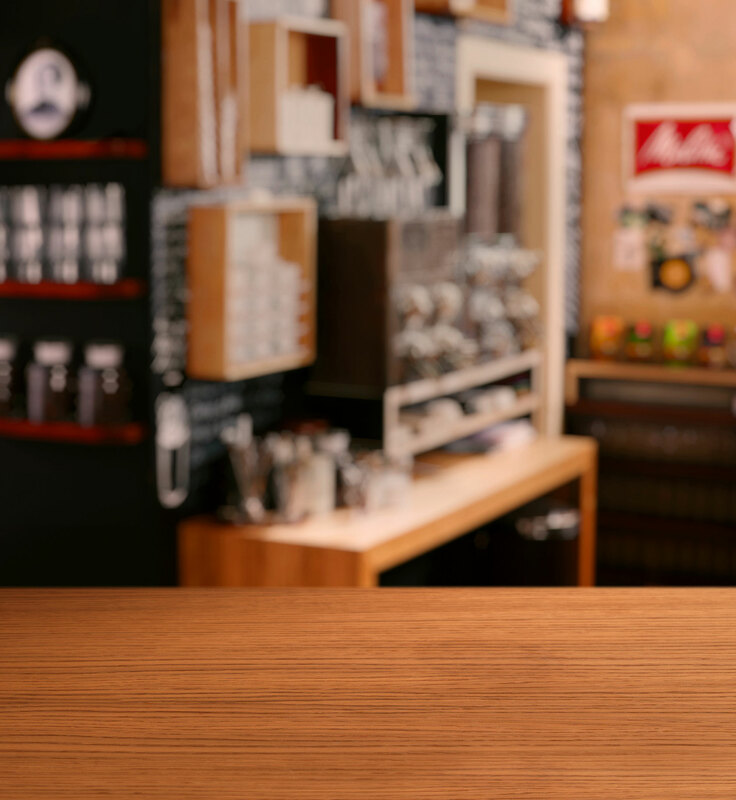 With the 0-watt switch you can turn off your CAFFEO Barista® completely at any time. The programmable Energy-Saving-Mode and adjustable automatic switch off feature also ensure economic use.